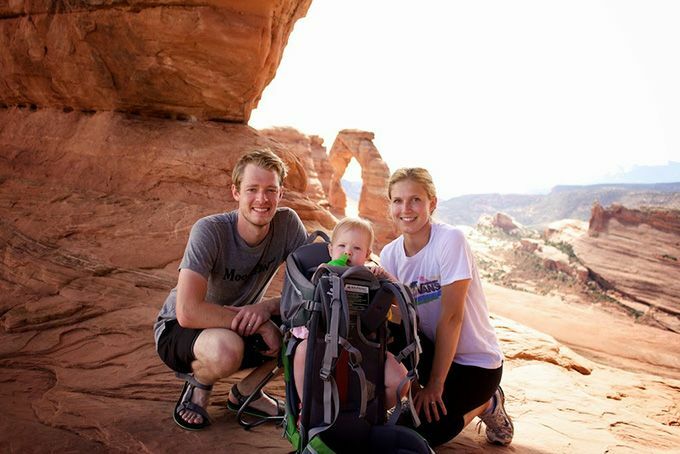 Having a second child is a whole new ball game in the wild world of parenting and especially — surprise, surprise — finances. When Sally was an only child, I was excited at any chance I got to spend money on her because the costs were minimal with just one child. And we felt bright-eyed and bushy-tailed as we planned out her future college fund. But doubling that college fund for a second child seemed a bit more daunting. But we decided to finally face the music and start contributing to both of our girls’ educations now. We’d like to be able to cover our kids’ first year of necessary college expenses (textbooks, tuition, housing, food, etc.). When it comes to unnecessary expenses (clothing, entertainment, etc. ), they’ll be responsible for figuring out their own way to make ends meet. After the first year of college, we’ll continue to help financially if they maintain a certain GPA. That way, in a sense, they’ll be earning our help after that first year. Of course, this is all one big hypothetical of us pretending we know how we’ll want to parent our girls sixteen years from now. So how did we come up with a number for how much we’ll need to save? Easy — and a little sneaky. We attended, met at, and graduated from BYU. We’re still big fans of our alma mater, especially because year-in, year-out, they show up near the top of “best value” lists for prospective students such as MONEY’s Best ROI Colleges where it ranks #15. So we took the cost of tuition for one year (roughly $5,000) multiplied by four years plus an extra $10k for freshman year expenses and we settled on $30k. Now if our kiddos don’t take the hint and choose a different school, that’s a-okay, but they’ll be working with the same budget. So that’s that. We did a post a while back all about cheating our 529. In it, we discussed the advantages of contributing to Sally’s 529 in large chunks over the next few years, rather than gradually contributing to it in small amounts until she goes to college. Now with two kids in the mix, we’ve still decided that’s the way we’d like to go, just split between the two of them. Contributing large chunks of money might not be the best option for everyone, but for a few reasons, it’s what seems best for us. First, with our daughters at their current ages, our expenses are fairly minimal. We’re currently debt free, and we’ve already padded our emergency fund, and contributed to our retirement funds for the year. Rather than having savings that’s sitting around doing nothing, we decided to put some of it to work, gaining compounding interest and making money babies for our babies’ educations. So right after Winnie was born, we put $10,000 (that we had been saving for over a year) into separate 529s for our girls. We gave Sally’s $6,000 and Winnie’s $4,000. Sally’s received a little bit more since we were behind on her contributions. Depending on who’s better behaved each year, we’ll contribute more or less to their fund. Kidding… Sally would be in the negative already ;). One of our goals this year was to make our girls’ 529s a priority (especially since NY had generous 529 tax breaks), so we finally did just that. Barring any major unexpected expenses, we’re hoping to continue contributing large chunks each year for a couple years to get a solid enough principal amount (somewhere between $10k and $15k) that will compound and grow and have money babies that reach our $30k target amount by the time they’re ready for college. Annnd I’m excited to say that Johnny will be sharing a post soon that walks you through the ins and outs of opening and contributing to a 529 plan — at least how we did it. It’s another financial milestone to check off our list. Now excuse me while I find some Kleenex to sob into thinking about my girls leaving for college in 15+ years. Wow – BYU is a great deal! I am thinking that I’ll need to save $200k+ per kid to pay for college, which is just a bit mind boggling at the moment. Fingers crossed that something happens with tuition reform in the next 20 years! We started saving for my son’s college fund right after he was born. We put in a set amount per pay period and made adjustments to it for inflation. When my daughter was born, we simply started contributing the same amount that was current. I think over time that will prove out to be the most fair way. No idea how much that will actually cover, as that’s dependent on many factors, but it should definitely reduce the burden so that any debt they may have is not crushing once they finish school. 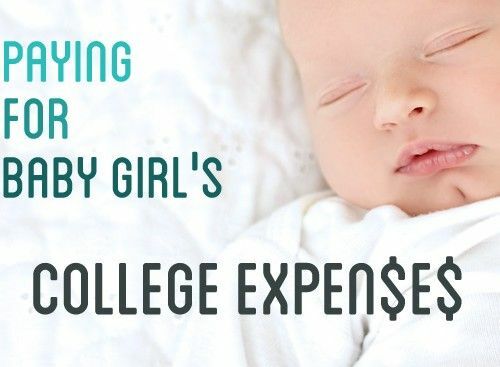 I think saving for college for your kiddos is a fantastic idea! I’m curious though, do you think there is need to adjust the tuition amount to factor in inflation? Very good catch, Ellen! The principal amount we settle on will assume an interest rate that already accounts for 3% inflation, so somewhere in the ballpark of 4-5%. So while we’ll still be planning around today’s tuition rates, we should have our inflation needs baked into our savings goals. I’m curious about your thoughts on separate 529s versus sharing one for multiple kiddos. We live in NY, so have an NY 529 plan for our daughter. 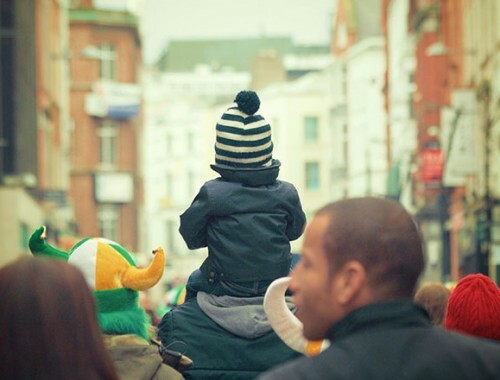 When our son was born, our financial adviser told us that we could open a separate account for him, but that we can also use money in our daughter’s account for any other child’s college expenses. By having two separate accounts, we’d need to pay maintenance fees on both, versus just on one. I like the psychology of keeping the money separate for each kid, but over the course of the next 15-18 years, it’ll amount to about $800 in savings to have just one account. How did you decide which way to go? I think it depends on the rules of the plan administrator. I have a separate account for my son and daughter because changing the beneficiary, while not overly difficult, does require filling out actual paperwork. and mailing it in. So it was easier just to have two accounts (which ends -01 and -02). There was no separate fee for this, just the fees charged by the mutual funds in them. I am also curious about the effect of rising tuition costs and inflation. Maybe I’m missing something, but it looks to me like your plan would cover only current costs with today’s dollars. I have a 529 for my son through Fidelity. One great offer is the Fidelity Amex card. We put all of our purchases on it and 2% is automatically contributed to his 529 account. It’s been a great way to make mindless contributions that don’t affect our budget. Its a great idea to start planning for your childrens education as early as possible. 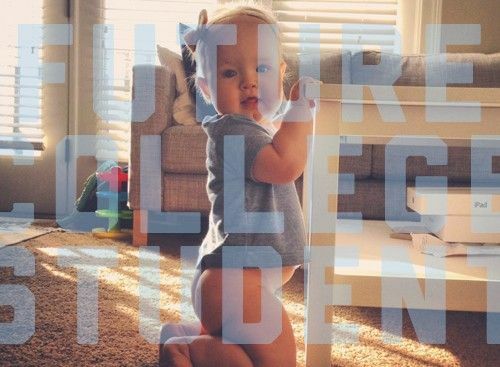 The only problem i see is the cost of tuition in 16 years. If you look at how much its gone up in the past ten years, then that’s a pretty clear indication that the price is going to be a lot higher in a few years than it is now. Hmm. I know you mentioned this above, but I’m just thinking gosh if they choose any other school, they will have less than one years tuition to work with. I went to university of Delaware and now that tuition w room and board and all is $41k. Obviously you guys are very intelligent, so I’m sure you considered all of this.. Just seemed concerning to me if they choose any other “typical” school, one years tuition will most likely be more than ten times higher than $5k per year 15 years from now. Anyway, so great you’re saving for college and I’m always learning a lot from you both and respect you very much!